MARK II: CHEVY’S MYSTERIOUS 427! The real 427 Mystery Motor, unlike the Z11, was not available in a car, or to the public. You had to have serious NASCAR cred to get one of the 20 built. In the 1960s, Semon “Bunkie” Knudsen always seemed to be one step ahead of GM Chairman Fred Donner’s anti-racing missives. 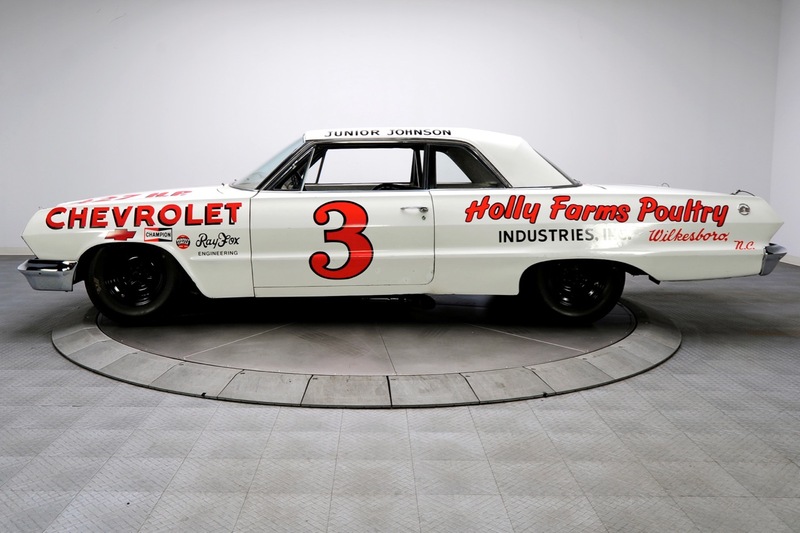 While running Pontiac, he had supported the Super-Duty Group that later, after he left, managed to get 421 Catalina Lightweights to drag racers before the axe fell. Then he moved on to Chevrolet in 1961 and supported the RPO Z11 drag racing and clandestine NASCAR 427 Mystery Motor projects. Both pure racing programs survived even though GM was officially out of racing. In the case of the Mystery Motor, everything was conducted through Chevrolet’s backdoor. 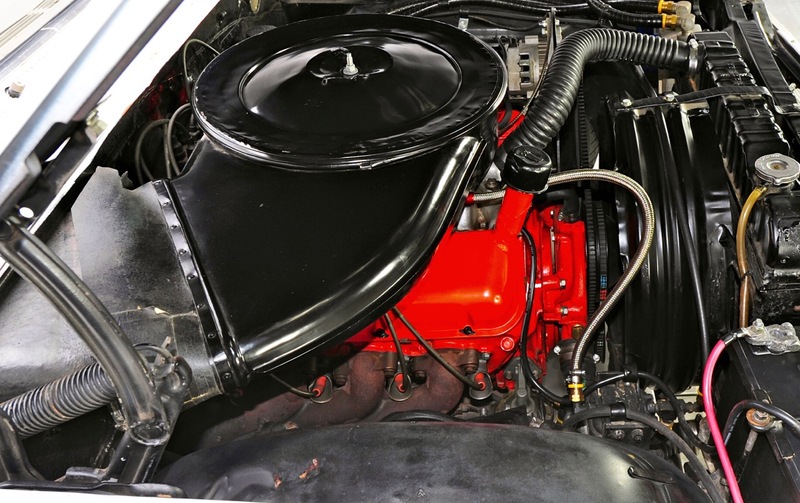 The 427 Mystery Motor’s real function was that of a “bridge” between the old school W-Series 348-409 and the next-gen 1965 Mark IV big-block. It used the same bore/stroke block – 4.31-inch bore and 3.65-inch stroke – as the Z11 engine. But that’s where the similarity ends. Unlike W-Series engines with combustion chambers in the cylinders, the Mark II NASCAR engine utilizes canted and staggered-valve (Porcupine) heads with conventional chambers. This style head debuted in production 396-427 Mark IV big-block engines, affectionately dubbed “Rat Motors” by enthusiasts! Although developed primarily as a NASCAR race engine, Chevrolet did produce a singular variant for street applications, shown here with Ken Kayser, right, who had been Business Case Manager for the Mark IV big-block at Tonawanda. The Mark II in street trim, displayed for many years at GM’s Tonawanda, NY engine plant, was built to justify the expenses of building a racing-only engine. It is possible that at some point the project was referenced internally as RPO Code Z33. That would have been done only to disguise the 427 as an optional production engine so as not to attract unwanted attention. Interestingly, the Mark II engine was not produced at Tonawanda, the facility best known for Mark IV 396-427-454 engines. Part of the mystery surrounding the Mark II engine can be attributed to its planned public debut on February 24, 1963 at the Daytona 500. 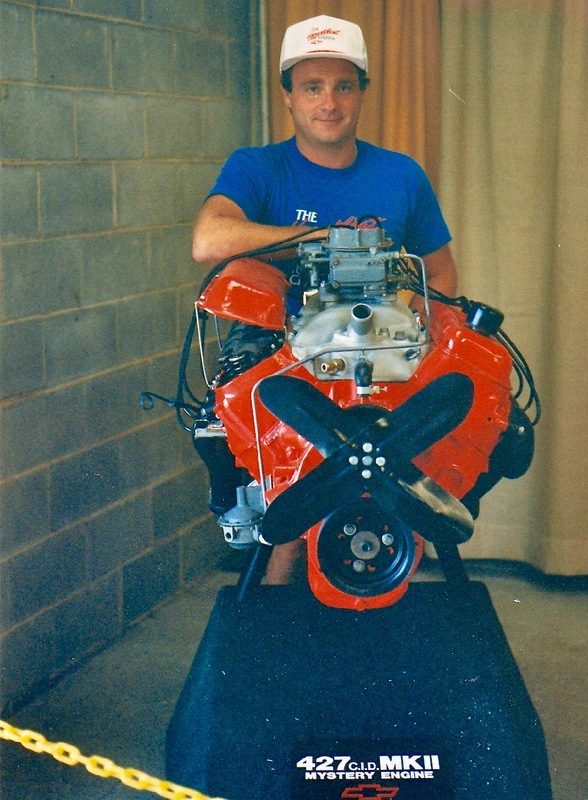 The first couple of engines were shipped to Smokey Yunick for use in Chevys being prepared for the 500. Junior Johnson and Johnny Rutherford were two high-profile racers originally slated to run this engine. However, Mark II 427s were in two Z06 Corvettes competing in the 250-mile American Challenge Cup, at Daytona on February 16! This was a race for sports cars and one-offs, not NASCAR stockers. Few people at the time realized that two of the split-window Sting Rays in the Challenge Cup had Mark IIs under their hoods. They were actually the first big-block Corvettes. 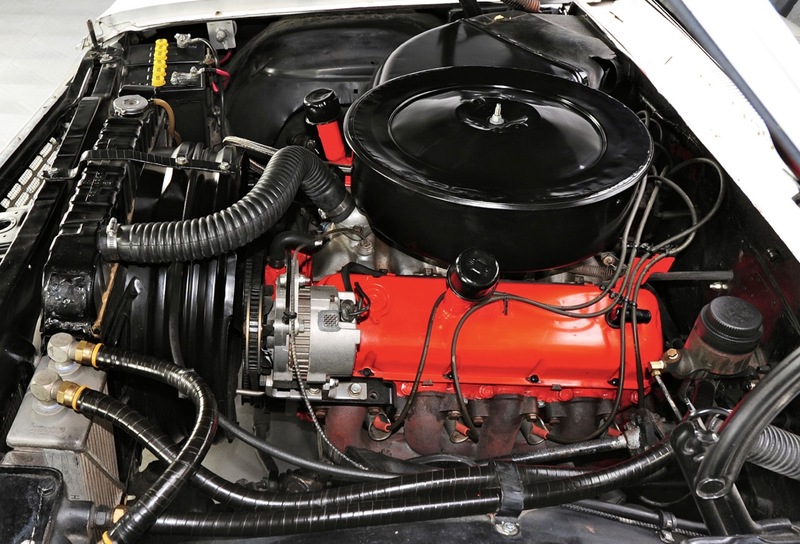 Smokey Yunick prepared two Corvettes like NASCAR Grand National stockers and installed Mark II engines, sparked by magnetos with HD three-speed transmissions. Scheduled drivers were Junior Johnson and Rex White. During practice, Junior was not comfortable with how his Corvette was handling at 160 mph and decided not to drive. Bill Krause replaced him and went on to finish Third. He beat other Corvettes, Ferrari GTOs and Porsche Carrera Abarth GTLs. Paul Goldsmith driving a Pontiac Super-Duty 421 Tempest, won the three-hour race, followed by A.J. Foyt driving a Nickey Corvette! Bunkie was not unhappy!